Whether you’re the buyer or the seller in a real estate transaction, an accurate appraisal delivered by an experienced appraiser is more than important. It’s essential. When a specialist comes to see a property, they view it closely to determine a true value. The goal is to provide protection for everyone involved – lender, seller, and buyer. Think of it from this point of view: Once a reliable appraiser completes the work and provides you with an accurate report, you will have a value on the property that you can depend on. The seller wants the price to be as high as possible for obvious reasons. The buyer wants that number to be much lower so that he or she can get a great value when he or she purchases the property. The lender wants to understand what the value is so they can make a good business decision. This is crucial for all house appraisals in Toronto and anywhere else in the world. When the final report comes in and all three parties review it, they have a common number to work with that reflects what the property is worth in its location at that particular time. An impartial appraiser, one who can be trusted by seller, buyer, and lender, will provide the most essential factor in the transaction. The buyer gets the real worth of the new home. The seller knows the true value for which the property can be sold on the current market. The lender is making an informed speculation based on the information from the appraiser. If you’re in need of real estate appraisal in Toronto, you want to work with professionals who will ensure that the value is correct for everyone involved. A serious delay in appraisal can cost the lender so it’s important that the service is accurate and efficient. Fortunately, you can submit an appraisal request online and that request will be given immediate attention. You’ll also be able to track the progress of your order, which means that you’ll know exactly where it stands from day to day. When you receive your report, you get all the relevant information that you need such as site maps, sketches, and even aerial pictures. Valuation for residential appraisal in Toronto will give you a true representation of property in the area. The cost approach is one of three valuation types, with the market approach and the income approach being the other two. The basic idea of this method is that the person who will use the property won’t pay more for it than it would cost to build something equivalent. 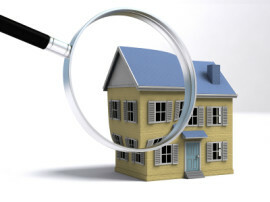 Need the services of an experienced appraiser? Be fully informed and clear up any concerns you may have. They’ll be happy to work with you to get the results that you need.